Генеральный директор. Руководитель лаборатории неразрушающего контроля. Руководитель международных проектов. Эксперт по промышленной безопасности. Dmitrii Shuvalov has been working at PROMPROEKT as an International Project Director and Industrial Safety Expert since 2009. Dmitrii has 12 years of managerial experience. Dmitrii graduated from St. Petersburg University of Trade and was qualified as an Industrial Engineer. Dmitrii works with large multinational companies, such as Nord Stream AG, UhdeGmbH, RosenEurope B.V., Statoil, SouthStreamTransport B.V., PetrolValvess.r.l. etc. 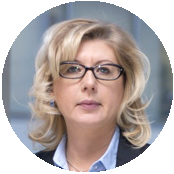 Natalia Zholudeva is responsible for administrative activities in the company, and the leading engineer of laboratory of nondestructive testing. Natalia Zholudeva has been holding the position of PROMPROEKT CEO since 2010. Natalia has 10 years of managerial experience and 5 years of experience as a certified NDT Engineer. Natalia graduated from St. Petersburg State Marine Technical University and was qualified as an Engineer. 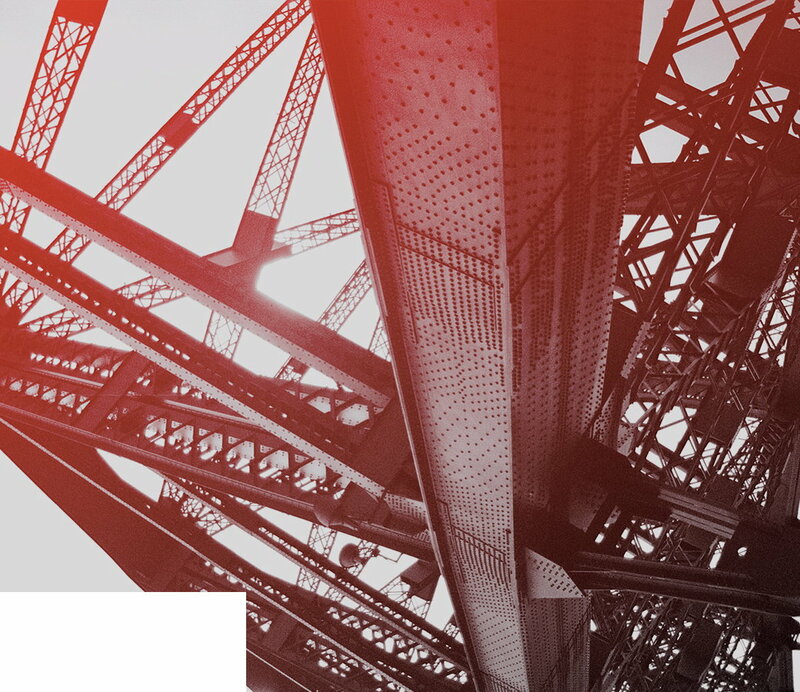 At PROMPROEKT Natalia actively participates in cooperation with large Russian and multinational companies, such asTransneft JSC, Rosneft Oil Company, PeterburgGas Gas Distributor, Gazprom OJSC, Allseas, SaipemS.p.A., Technip S.A., RosenEurope B.V., SouthStreamTransport B.V.,etc. 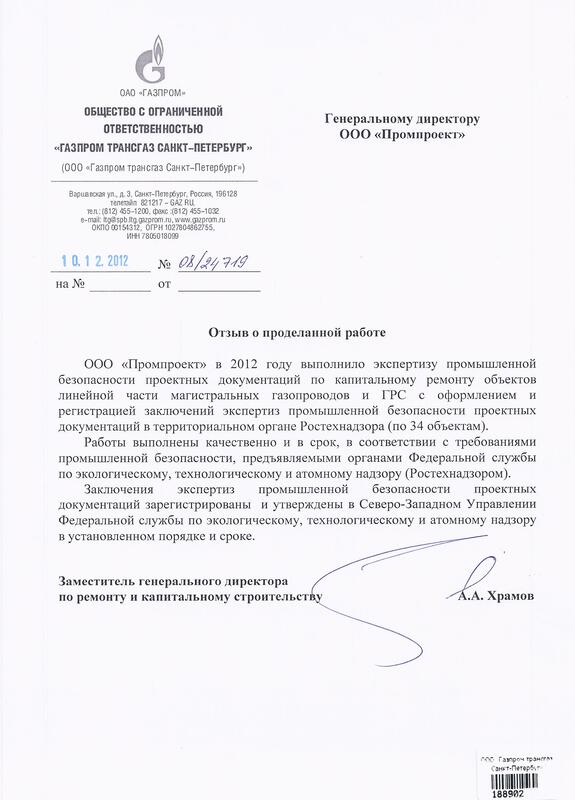 Александр Медведев отвечает за организацию работы отдела экспертизы промышленной безопасности, а также за проведение обследований и проверок строительных конструкций, фундаментов, зданий и сооружений. 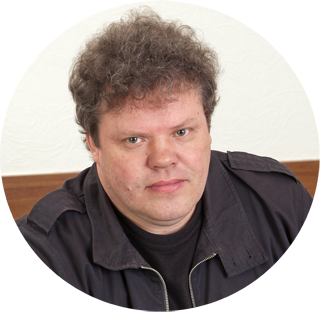 Alexander Medvedev has been working at PROMPROEKT as a Leading Industrial Safety Expert since 2010. Since 2014, Alexander has been holding the position of a Head of Buildings and Constructions Examination Department. Alexander has 9 years of experience as an Industrial Safety Expert. His professional history involves over 20 years of engineering experience. Alexander obtained a higher education in Volgograd State University of Architecture and Civil Engineering and was qualified as an Engineer. Ilya is responsible for the development of engineering documentation (technical passports, operating manuals, testing schedules, etc. 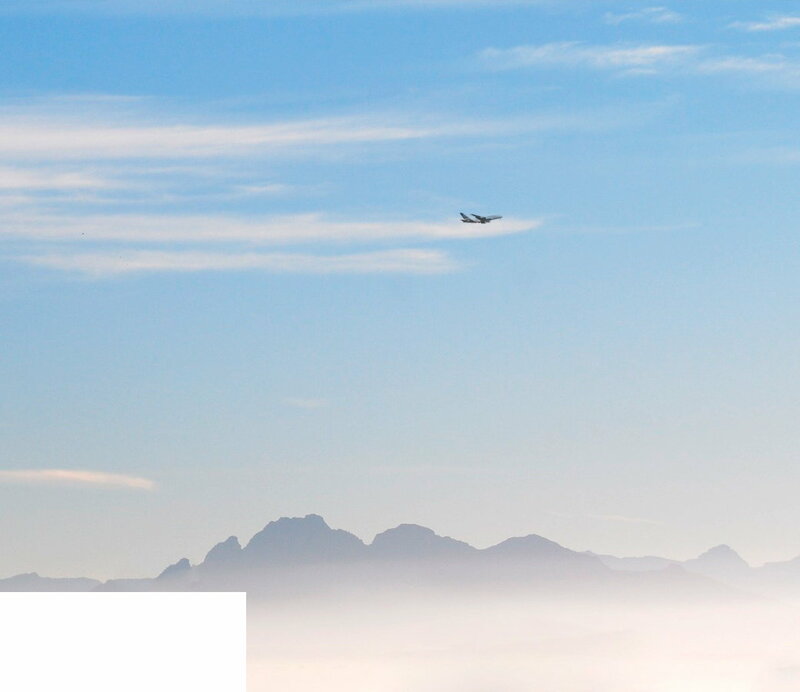 ), industrial safety examination,certification of technical devices and industrial equipment in compliance with theTechnical regulations of the Customs Union. Ilya is also an Expert in industrial safety personnel attestation. 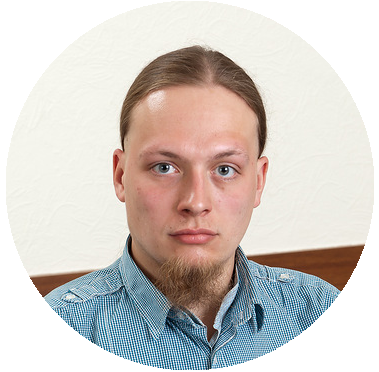 Ilya Skladchikov has been working at PROMPROEKT as an Industrial Safety Expert since 2011. Since 2014, Ilya has been holding the position of a Head of Industrial SafetyExamination and Certification Department..
Ilya has 7 years of successful experience as an Industrial Safety Expert. Ilya graduated from Saint Petersburg State Technological University of Plant Polymers and was qualified as an Engineer. ООО «Промпроект» в 2015 году провела экспертизы промышленной безопасности проектной (рабочей) документации на техническое перевооружение и реконструкцию установок защиты от электрохимической коррозии газопроводов в 2015 год с регистрацией экспертиз в Ростехнадзоре (по 68 адресов). Работы выполнены качественно и в срок, в соответствии с требованиями промышленной безопасности, предъявляемыми органами Федеральной службы по экологическому, технологическому и атомному надзору (Ростехнадзор РФ). The works were carried out at high quality standards, on time, and in accordance with the requirements of industrial safety requirements of the Federal Environmental, Engineering & Nuclear Supervision Agency (Rostekhnadzor of RF). The industrial safety expert examination was included in the industrial safety expert conclusion registry in the Northwest Office of the Federal Environmental, Technological & Nuclear Supervision Agency according to the established procedure and term. Provision of services for the technical inspection of automatic gas filling compressor station AGFCS-1 in the city of Kazan, AGFCS-2 in the city of Kazan, AGFCS-3 in the city of Kazan, AGFCS-1 in the city of Almetyevsk, AGFCS-2 in the city of Naberezhnye Chelny, AGFCS-1 in the city of Nizhnekamsk, AGFCS-1 in the city of Mamadysh under the contract dated 2/02/2015 number GMT-1311.02.2015. All of the above works were carried out at high quality standards, on time, by qualified and skilled specialists, in compliance with all the requirements of the existing regulations and guidance documents, and in accordance with the industrial safety requirements of the Federal Environmental, Engineering & Nuclear Supervision Agency. Senior Engineer, coordinator of the Russian segment. Department of quality assurance and control. 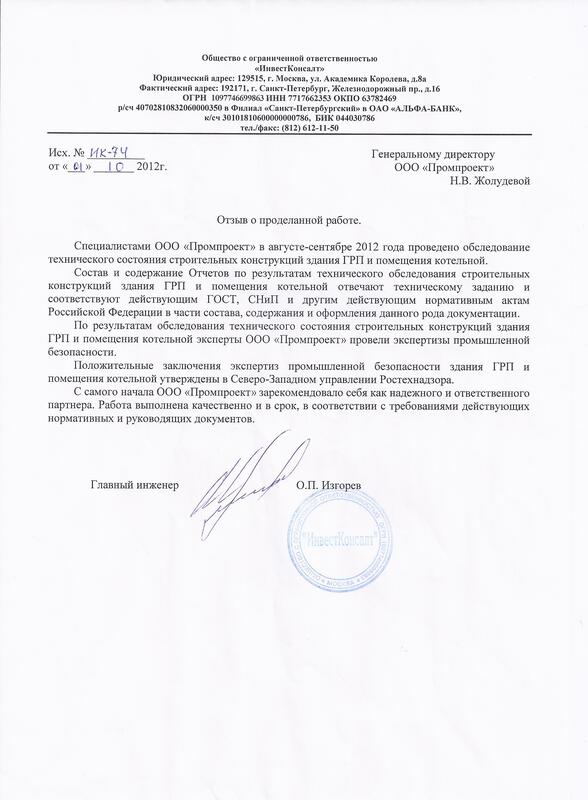 The contribution of Promproekt, LLC to the successful implementation of the project Nord Stream offshore gas pipeline. From November to December 2012, the specialists of Promproekt, LLC carried out a technical examination of the reinforced concrete vessels No. 1 and No. 2 for fire-fighting water storage with the Volume = 1500m3, operated by Baltnefteprovod, LLC, located in the line operation dispatcher station Yaroslavl of the District oil pipeline agency of the city of Yaroslavl. The composition and content of the reports on the results of the technical inspection of the reinforced concrete vessels No. 1 and No. 2 for the storage of fire-fighting water storage with the Volume = 1500m3, meet the specifications and comply with the applicable GOST, SNIP, and other applicable regulations of the Russian Federation with regard to the composition, content and design of this kind of documentation. The works were carried out at high quality standards, on time, in accordance with applicable regulations and guidelines, as well as in accordance with the industrial safety requirements of the Federal Environmental, Engineering & Nuclear Supervision Agency. In 2012, the specialists of Promproekt, LLC conducted an examination of the technical state of engineering structures of the buildings and constructions of Balttransnefteprodukt, LLC. 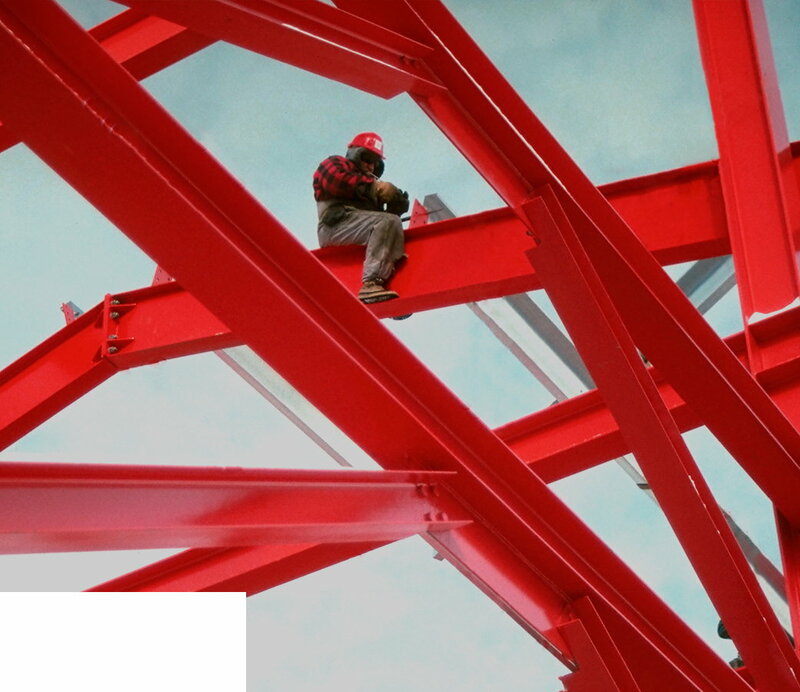 The composition and content of the reports on the results of technical inspection of the buildings and constructions meet the specifications and comply with the applicable GOST, SNIP, and other applicable regulations of the Russian Federation with regard to the composition, content and design of this kind of documentation. The experts of Promproekt, LLC conducted an industrial safety examination using the results of the technical state inspection of buildings. In 2012, Promproekt, LLC completed the industrial safety examination of the design documentation for the overhaul of the structures of the linear part of the main gas pipelines and gas distribution stations, as well as prepared and registered the conclusion of the industrial safety examination of the project documentation with the territorial body of Rostekhnadzor (34 objects). The works were carried out at high quality standards and on time, in accordance with the industrial safety requirements of the Federal Environmental, Engineering & Nuclear Supervision Agency (Rostekhnadzor). From March to April 2013, the specialists of Promproekt, LLC carried out an engineering inspection of the construction of foundations under the main pumps at the Gryazovets and Nyuksenitsa pumping stations. The composition and content of the reports on the engineering inspection of the foundations correspond to the specifications and requirements of the regulatory documents (RD-03.100.50-KTN-272-10, SP 13-102-2003). The work of Promproekt, LLC was performed at high quality standards and within the contractual period. 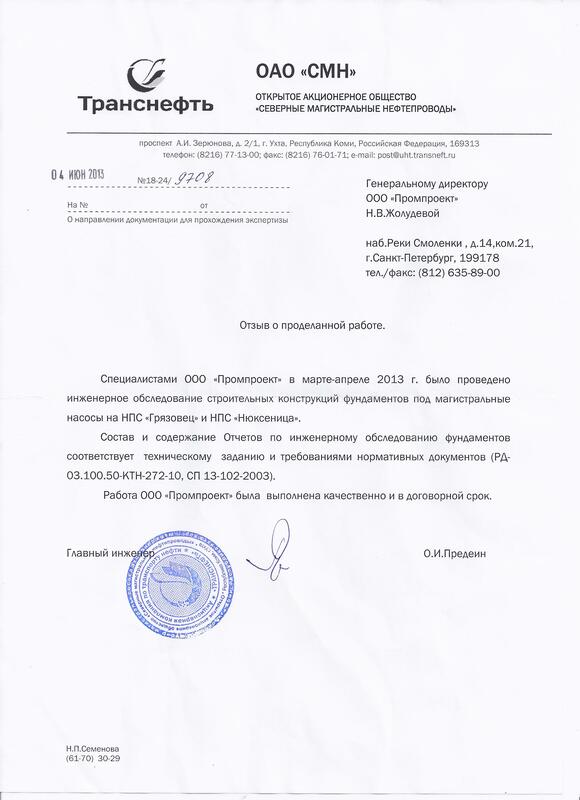 From August to September 2012, the specialists of Promproekt, LLC conducted an examination of the technical state of engineering structures of the buildings and constructions of the gas-pressure regulatory station and boiler room. 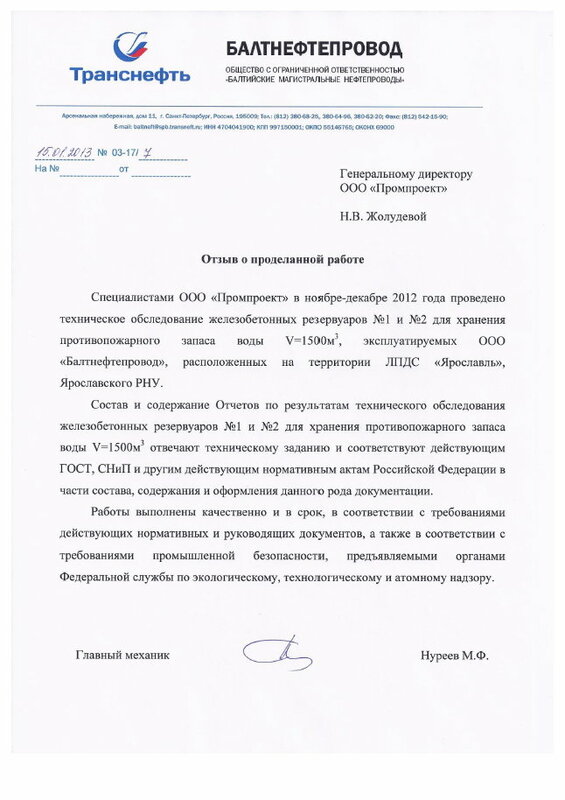 The composition and content of the reports on the results of the technical inspection of the gas-pressure regulatory station building and boiler room meet the specifications and comply with the applicable GOST (State Standard), SNIP (Construction Standards and Regulations), and other applicable regulations of the Russian Federation with regard to the composition, content and design of this kind of documentation. The experts of Promproekt, LLC conducted an industrial safety expert examination using the results of the technical state inspection of the structure of the gas-pressure regulatory station building and the boiler room.